On November 1, 1918, as the Great War in Europe was entering its final hours, a five-car elevated train was heading for the Flatbush section of Brooklyn with hundreds of homeward-bound commuters aboard. As the train rumbled down a shor hill between Prospect Park and Ebbets Field in the very heart of Brooklyn, the unthinkable happened: the motorman lost control and the train left the tracks as it curved into a tunnel at the foot of the hill. The ensuing disaster, known ever since as the Malbone Street Wreck, took the lives of almost a hundred people and stands as the worst mass-transit accident in U.S. History. Unlike the Titanic disaster, however, the Malbone Street Wreck has received scant attention from scholars and historians over the years. As is so often the case, popular accounts of the tragedy have managed to enshrine as dogma thinkgs that are absolutely untrue. 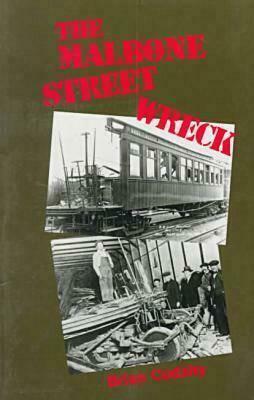 Now, Fordham University Press is proud to present Brian J. Cudahy's long-awaited account of the Malbone Street Wreck, a book that recounts the events leading up to the disaster, describes the faithful trip from its beginning to end, and reviews efforts conducted after the tragedy to fix blame and establish liability. Could the Malbone Stret Wreck have been avoided? Clearly yes, is Cudahy's answer. Had any number of factors not combined in precisely the way that they did, the five-car train might have well continued its journey to Brighton Beach in a completely uneventful manner. But they did happen exactly as they happened, and that is why The Malbone Street Wreck makes such arresting reading. Could another Malbone Street Wreck happen at some future time in New York, or on any other U.S. Mass Transit System? Transit professionals will have to answer this question after they read Cudahy's account of how and why November 1, 1918 has become such an important day in transportation history.